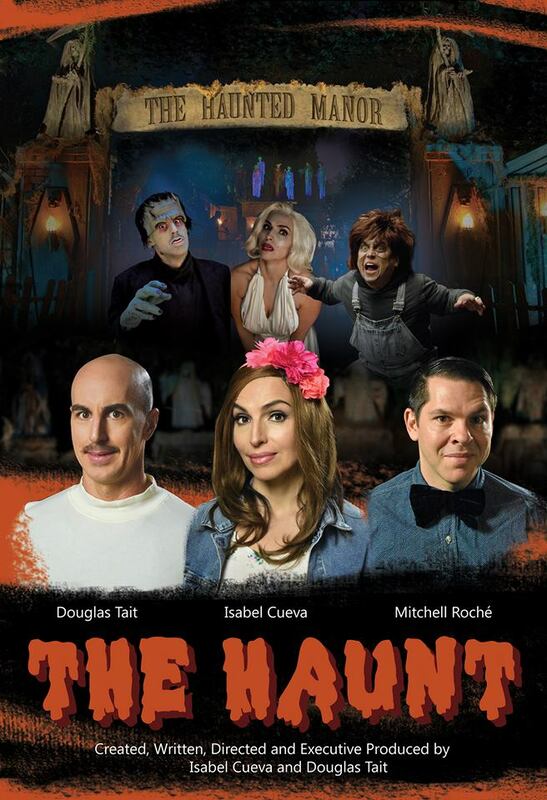 The new comedy series The Haunt could be to Halloween scare attractions what The Office is to cubicle workplaces, as the first official trailer teases the opening of a small town’s local spook show set to undergo some horrifyingly unexpected transformations before this year’s opening. The Haunt is created, written, and directed by the husband-wife team of Douglas Tait (Grimm, Havenhurst, Freddy vs. Jason, Star Trek) and Isabel Cueva (SyFy’s Halloween-themed Paranormal Initiation, Jack The Reaper, The Lady Killers, In the Name of Freedom). The official synopsis: In a small town, are the veteran cast members of “The Haunted Manor”, who’s lives are shaken after the over-zealous director decides to revamp the Manor, and make drastic changes. Check out the trailer and official poster below, and give us your thoughts in the comments!